If you're selling your property for the first time, evaluating an estate agent's contract can be complex. You have to consider a number of factors before agreeing to sign so you are assured with the terms and conditions. This way you don't have to deal with an unpleasant surprise when your final bills are presented. Estate agents create different fee structures. The key is to find out exactly what you are looking for. Some estate agents offer a fixed rate commission while some offer a percentage rate. For estate agents who are basing their fees on a percentage, it is important that you include VAT in your calculations, as most agents are not including this up front. Negotiate on the percentage, don't accept it on face value. A little adjustment might seem trivial but could actually save thousands of pounds. For estate agents who are offering a flat rate, this can be advantageous if you're aiming to spend on a fixed budget for estate agent fees. However, the motivation for selling at the best price for your property may be in question since they will get a fixed amount anyway. You can try to negotiate a higher set price if your property will be sold at a higher price. Estate agents also put additional fees for services like advertising and accompanied viewings. Don't hesitate to ask about the additional charges of these features. Know that estate agents are obligated to spell these fees out for you in writing, including VAT, so you know the sum before signing. In a poor market, estate agents often offer around 1.5 % plus VAT and conversely around 0.8% plus VAT in a relatively good market. Also remember that all commission rates should be discussed and agreed upon between you and the estate agent. Many estate agents include a tie-in period in their contracts. However, make sure that you can get out of the contract without paying fees if you want to terminate because of poor service. It is advisable that you negotiate a tie-in period you're comfortable with to give you the flexibility to cancel the contract without incurring penalties. There are various types of estate agency agreements. Make sure to know their benefits and drawbacks before signing and choose carefully. 1.) Multi agency agreement - this approach utilises as many agents as you like but you'll only pay commission to the estate agent who has successfully sold your property. This contract incurs higher fees so it is not advisable if you're trying to sell in a budget. 2.) Sole selling rights - think carefully before agreeing to sign the contract of an agent who wants sole selling rights for your property. Even if you find your own buyer, you will have to pay the agent. 3.) 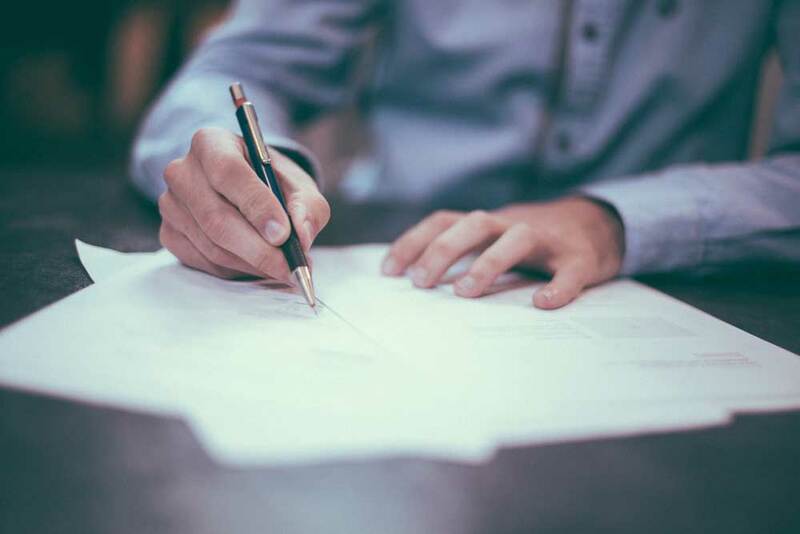 Sole agency - just like sole selling rights, this contract stipulates that your estate agent should be the only one allowed to sell your property. However, you don't have to pay your estate agent if you find your own buyer. If you're ready to sell your property, browse our list of estate agents today. Get a more personalised quote by creating a profile. Request quotes from the local agents you wish to hear from and review them. Compare and select the best deal. If you wish to speak with one of our advisors or have any enquiries, get in contact with us at +44 203 291 1907 or complete one of our forms so our friendly team can get in touch with you.